Huawei is rolling out an update to the P20 Pro. 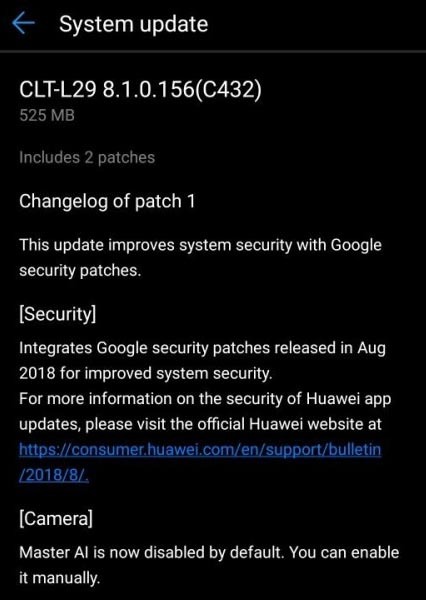 Weighing in at a hefty 525MB, the update brings the August 2018 Android security patch for the device along with some minor device stability improvements as well. The update bears build number CLT-L29 8.1.0.156(C432) and should hit your device OTA shortly. You can also manually trigger it by heading over to Settings > About phone > Software updates > Tap on Check for Updates. It is a bit disheartening to see that Huawei is still a month behind on its updates, even for its flagship devices. The most significant change, however, is that it disables the AI features that come with the devices’ impeccable triple camera system. The move is interesting, considering that Huawei heavily advertised the camera’s AI features as a part of their marketing program for the P20 Pro. Some users reported that when left to its own devices, the camera AI wrecked havoc on the colour accuracy of some images by oversaturating them. It is possible that Huawei is working on ironing out the kinks in the software and a fix could be en route via a future update. To re-enable the features, all you need to do is go to the camera settings and flick it back on. The P20 Pro’s triple camera system is arguably one of the best on the market right now and we hope to see it operate at its maximum potential soon. 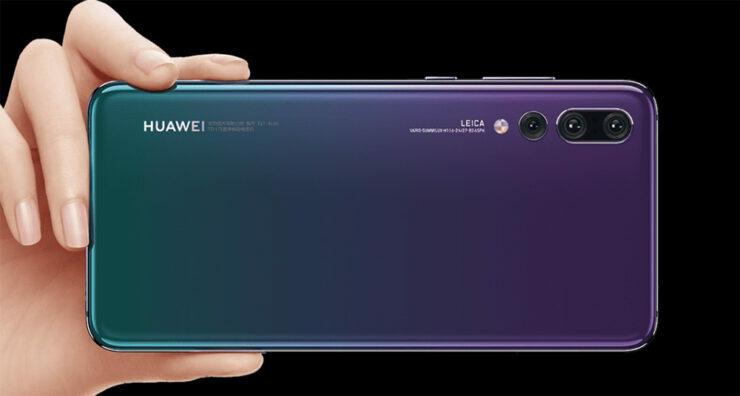 Triple Camera Bonanza; Huawei’s Alleged P20, P20 Plus And P20 Pro Feature In Fresh Leak, With Triple Camera Lens Setups!